An Israeli professor has agreed to pay more than $850,000 to settle U.S. claims he engaged in insider trading in Jerusalem-based Mobileye, a maker of sensors and cameras for self-driving vehicles, ahead of its $15.3 billion takeover by Intel Corp. According to an agreement filed by the U.S. Securities and Exchange Commission on Monday in Manhattan federal court, Ariel Darvasi, a genetics professor at the Hebrew University of Jerusalem, will pay about $854,000. The agreement must be approved by U.S. District Judge Richard Berman. "I have now agreed to a settlement under which I do not admit anything, I do not deny anything, and obviously I was not convicted of any wrongdoing," Darvasi said in a statement sent through a spokesman for the university. "I am currently fighting pancreatic cancer and a civil trial in a faraway foreign country is unfortunately beyond my strengths." University spokesman Dov Smith said the university was not involved in the case had no comment. The SEC in March charged that Darvasi, of Mevaseret Zion, Israel, and another Israeli, Amir Waldman, made "remarkably timed" purchases of Mobileye shares and call options prior to Intel's March 13 acquisition of Mobileye. The SEC said the purchases resulted in about $427,000 of profit for Darvasi and $4.5 million for Waldman, after the announcement caused shares of Mobileye to rise 28.2 percent in one day. Darvasi's settlement represents the profit he was accused of making, plus a civil penalty of the same amount. 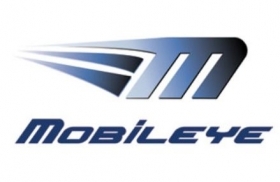 According to the SEC, both defendants were connected to Mobileye insiders through the Hebrew University scientific community, which developed Mobileye technology and produced at least 11 Mobileye directors and officers. Waldman, of Yarqona, Israel, is a self-employed engineer, according to the SEC's complaint. Gregory Bruch, a lawyer for Waldman, said the claims against his client were still pending and declined to comment further. According to the SEC, Darvasi began buying Mobileye stock on March 2 after selling 40,000 shares of Teva Pharmaceutical Industries Ltd., the only securities in his account. The SEC said Waldman conducted most of his Mobileye trading in the six weeks before the Intel deal was announced. The trading began the day Intel and Mobileye signed a non-disclosure agreement, and generated a 1,883 percent return. Neither Mobileye nor Santa Clara, Calif.-based Intel was accused of wrongdoing.